Cristiano Ronaldo will begin his Italian adventure today in what is one of the most eagerly-awaited Serie A seasons in recent years. After years of falling attendances and the absence of star power, there is a feeling that Serie A might be regaining some of its old allure with the capture of Ronaldo, the return of Carlo Ancelotti and Parma’s promotion. Last season, Serie A was the only one of the five major European leagues to produce a genuine title contest, with Napoli’s brave challenge finally ending two rounds from the end. And the Neapolitans struck the first blow during the close season when they hired Ancelotti to replace Chelsea-bound Maurizio Sarri in an impressive coup that may well see them pick up where they left off last season. 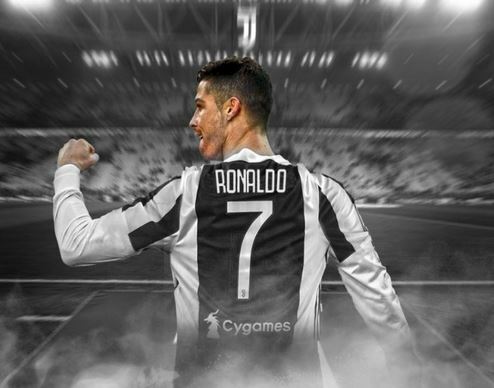 Juve made perhaps the biggest statement of intent with their signing of 33-year-old Ronaldo who, like the Turin club itself, shows no signs of resting on his laurels. The capital city is also hoping to mount another challenge this season although AS Roma, third last term, have once again sold a top player with goalkeeper Alisson moving to Liverpool, as Mohamed Salah did one year ago. But they’ll be boosted with the signings of Argentine playmaker Javier Pastore and France World Cup winner Steve Nzonzi. The two Milan sides are also expecting to have a say as Inter, who led last year’s title race until early December, have spent heavily in their bid to launch a serious challenge this season, bringing in Belgian midfielder Radja Nainggolan and highly-rated 20-year-old Argentine Lautauro Martinez. Neighbours AC Milan, meanwhile, signed prolific Argentine forward Gonzalo Higuain on loan from Juventus although it remains to be seen whether the fiery and inspirational leadership of Gennaro Gattuso can overcome the club’s financial troubles.